Familien pirolfamilien hører til i underordenen sangfugler, Passeri. 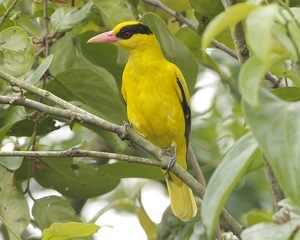 "Black-naped Oriole (Oriolus chinensis)" by Lip Kee via Flickr, Creative Commons Attribution ShareAlike. 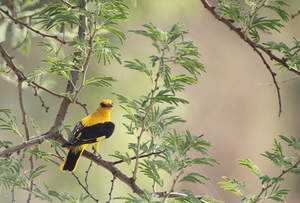 "Golden Oriole or European (or Eurasian) Golden Oriole - Oriolus oriolus" by Brian.gratwicke via Flickr, Creative Commons Attribution.